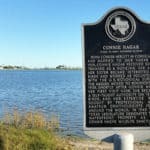 The mission of the commission is to protect and preserve the county’s historic and prehistoric resources for the use, education, economic benefit, and enjoyment of present and future generations. 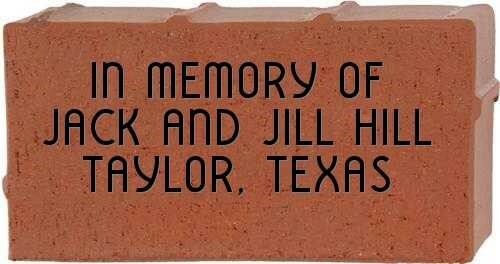 Purchase a Memorial Brick in honor or in memory of any citizen. 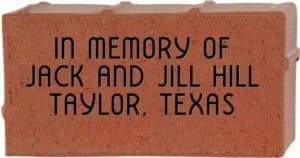 The bricks are installed on the four corners sidewalk surrounding the Williamson County Courthouse. The Williamson Museum offers a variety of ways for you to engage and interact with the past. Discover our stories – explore their exhibits & events at their Georgetown or Round Rock location. The Williamson County Historical Commission (WCHC) provides this information "as is" without warranty of any kind. This data could include inaccuracies or typographical errors. The WCHC is not responsible for any errors or omissions. Accuracy is limited to the validity of available data. Presence of links should not be construed as an endorsement of the represented sites by the WCHC.